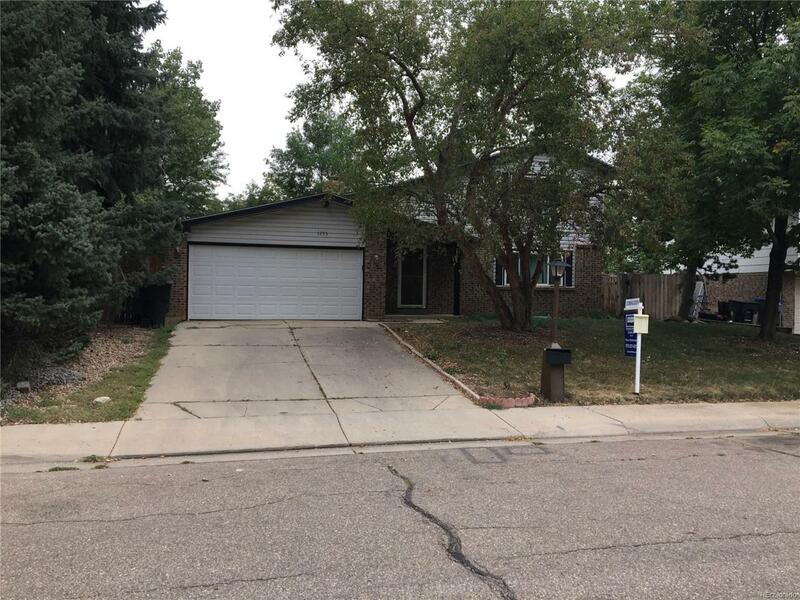 Spacious home with lots of potential in sought after south Longmont location! Property features 4 bedrooms, 3 bathrooms, and large living areas with vaulted ceilings. Master has large walk-in closet and separate bathroom. Newer windows and siding. Finished basement has 2 additional non-conforming bedrooms. Property needs a little TLC but is perfect for buyers wanting to earn a little sweat equity! Property is in an estate and will be sold AS-IS.